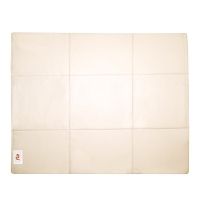 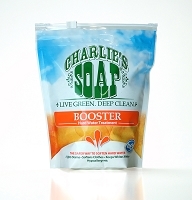 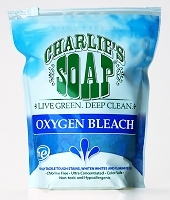 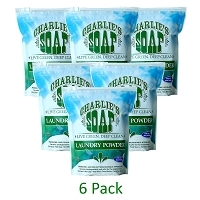 Largest Selection of Charlie's Soap Available Now! 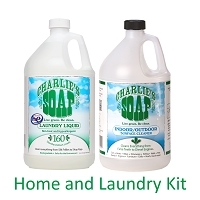 Charlie's Soap is MADE IN THE USA! 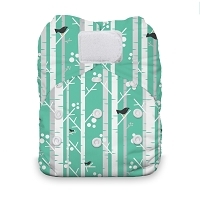 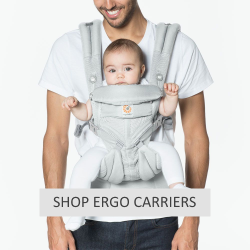 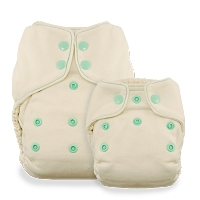 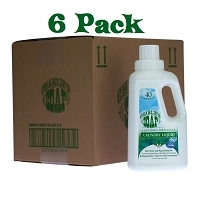 We only make 6 products in various formats so we can concentrate on being the best at what we do. 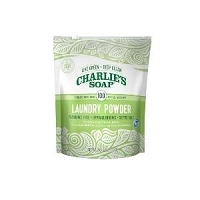 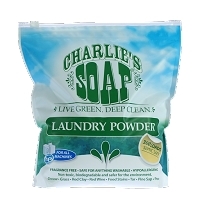 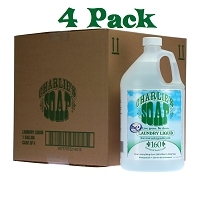 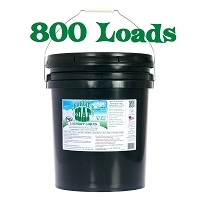 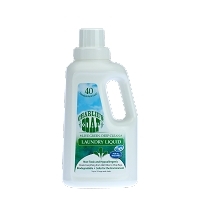 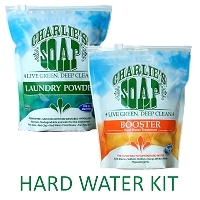 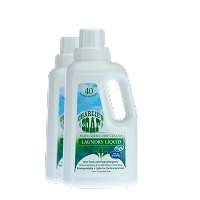 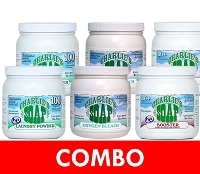 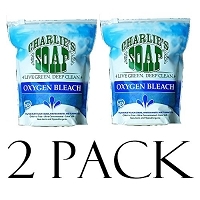 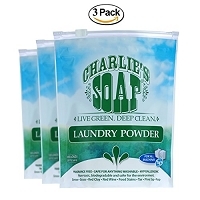 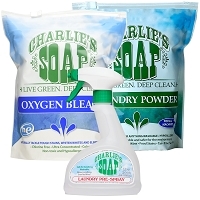 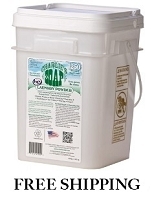 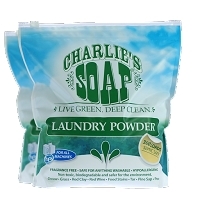 Charlies laundry liquid, laundry powder, laundry booster and hard water treatment, Kitchen and Bath Natural Cleaner, Indoor/Outdoor Surface Cleaner, Laundry Pre-Spray and Oxygen Bleach are top sellers! 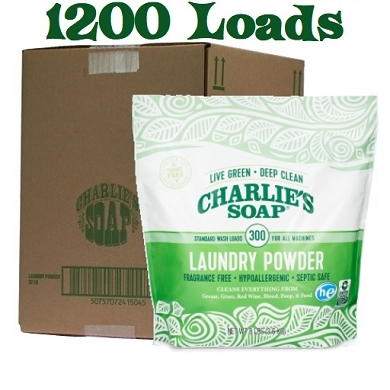 eLeMeNO-Pee is a top seller of Charlies Laundry Detergent and is an official partner retailer!